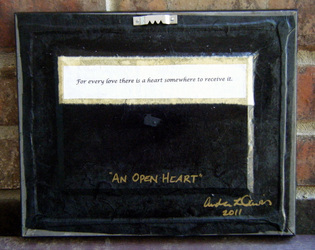 "Open Heart" is a one of a kind ♥ sculpted from a recycled European beverage can. I treated the aluminum to bring out its stunning iridescence and then hammered and embossed it with this intricate pattern. 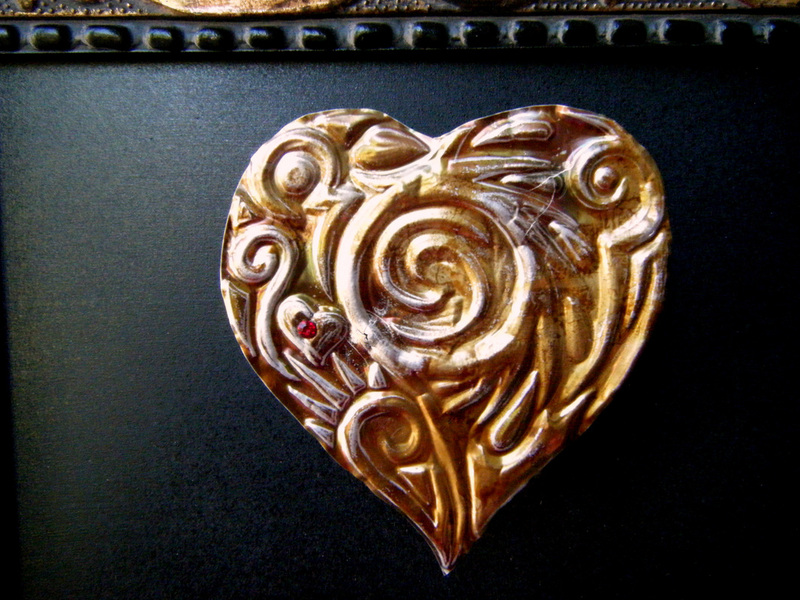 Then I precision cut out a heart, in all its imperfect glory. 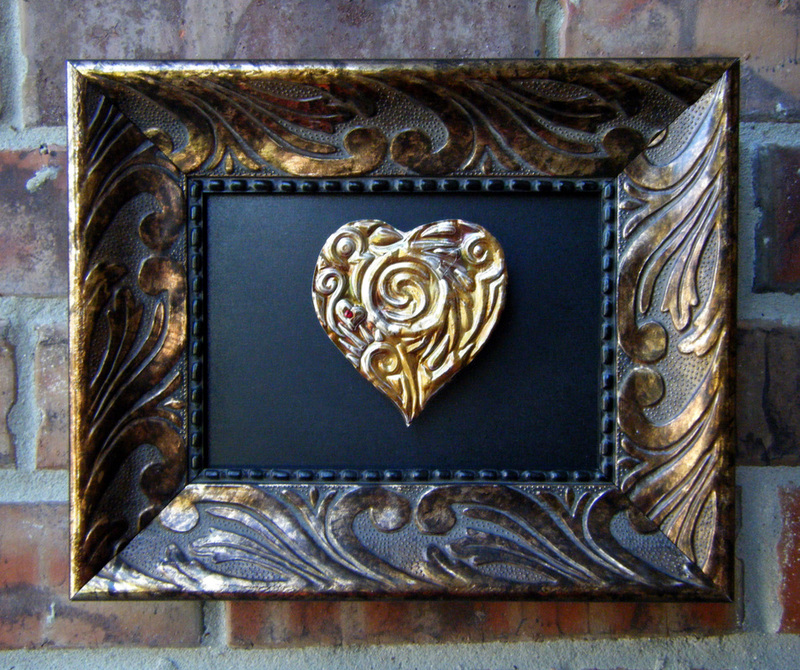 I placed a Swarovski crystal for accent and mounted it in a beautiful golden frame. "Open Heart"; 2011. Recycled aluminum drink can, Swarovski crystal, mdf backing, acrylic paint, wood frame. Private collection; West Chester, Ohio.